HARRISBURG, Pa. (AP) -- They are talking about nuclear power across rural Pennsylvania. This spring, the question of whether to rescue Pennsylvania's nuclear power plants could dominate debate in the state Capitol, and that's of keen financial interest to hundreds of thousands of rural electric cooperative members who rely heavily on nuclear power. Cooperatives in the nation's No. 2 nuclear power state have perhaps the biggest stake in what critics call a bailout, and they are cranking up their efforts to get their message to employees, cooperative members and, ultimately, lawmakers. "Every opportunity that we have, I encourage our member owners to bring this up. Every opportunity I have, if at a meeting, I bring this up," said Frank Betley, president and CEO of the Pennsylvania Rural Electric Association, which is owned by 14 cooperatives. "I hope that our people are talking to (lawmakers) at every turn to let them know that, 'hey, this is important to us.'" For two years, Chicago-based Exelon Corp. and other nuclear power plant owners have worked to build support for a rescue in Pennsylvania, warning that the fleet is being driven into unprofitability, primarily by a flood of cheap natural gas plants entering competitive electricity markets. Nuclear power, they say, should get the same favorable treatment in Pennsylvania as wind farms, solar installations and other "carbon-free" energy sources in the age of global warming. To accomplish that, the cooperatives and other nuclear plant owners are supporting legislation projected to cost Pennsylvania's ratepayers around $500 million a year. That's about 3 percent of the more than $14 billion that Pennsylvania's electric customers paid for electricity in 2018, including distribution charges and taxes, according to federal data. The 14 rural electric cooperatives, 13 in Pennsylvania and one in New Jersey, own 10 percent of the Susquehanna nuclear power plant in northeastern Pennsylvania. Susquehanna, in turn, supplies roughly 60 percent of the electricity used by the more than 230,000 households, businesses and industrial consumers who are members of the cooperatives and that, they say, has helped them keep their rates well below what for-profit utilities charge ratepayers. The stakes for the cooperatives are this: If Susquehanna shuts down prematurely, members of the cooperatives can expect a big increase in their electric bills. However, if lawmakers pass the nuclear-friendly legislation, the cooperatives — like other nuclear power plant owners — would bring in more cash. Meanwhile, the bill would shield members of the cooperatives from the rate increases that most of Pennsylvania's other electric customers will pay. Betley wouldn't provide an estimate for the cost increase should Susquehanna shut down. But Rep. Thomas Mehaffie, R-Dauphin, who introduced the House bill, said it could amount to a 25- to 30-percent hike in members' bills, or higher if natural gas prices rise. "They are really concerned," Mehaffie said. Lawmakers' immediate deadline is June 1. 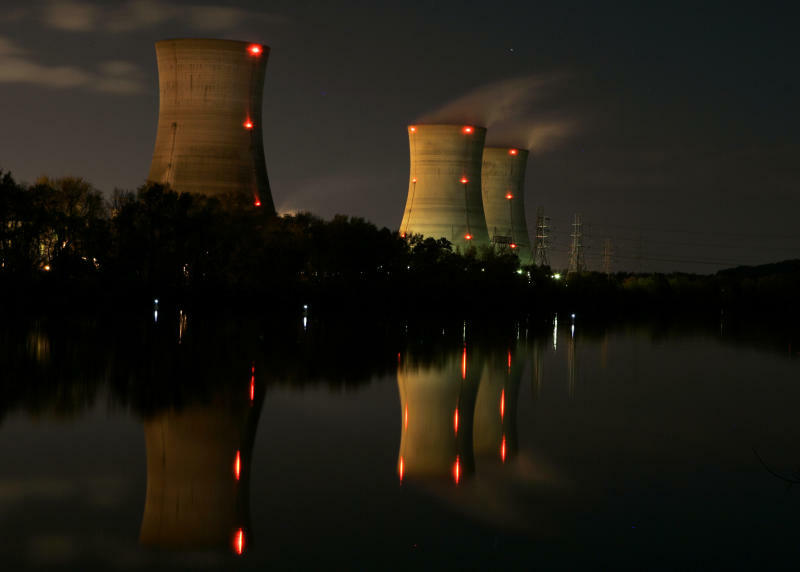 That's when Exelon, the owner of Three Mile Island, has said it will begin the four-month process of shutting down the plant that was the site of a terrifying partial meltdown in 1979, unless Pennsylvania comes to its financial rescue. Three Mile Island aside, the bill's opponents question whether Susquehanna and Pennsylvania's three other nuclear power plants require a subsidy to stay afloat. By all accounts, Susquehanna is profitable right now, although nuclear power plant owners warn that the same market dynamics that make Three Mile Island unprofitable will eventually sink Pennsylvania's entire nuclear fleet. They warn of a future without nuclear power plants. Carbon emissions will rise, natural gas will become the dominant energy source and Pennsylvania will have no hedge against a price spike, they say. Passing a complicated, heavily lobbied and politically thorny bill won't be easy. Securing the backing of Gov. Tom Wolf and his fellow Democrats in the Legislature will likely require adding clean-energy concessions and limiting nuclear power subsidies. At the same time, swinging the votes of rural lawmakers behind it could be the difference between its success and failure in the Republican-controlled Legislature. Some rural lawmakers may have divided loyalties if Pennsylvania's considerable natural gas industry maintains its opposition to any nuclear-friendly legislation. And the cooperatives aren't prominent campaign donors. But nearly 70 House and Senate members have cooperative service territory in their districts, the cooperatives say. Some of the cooperatives' employees and board members are well known to lawmakers, and the cooperatives are involved in civic causes and donate to local organizations. "That means a whole lot," Rep. Dan Moul, R-Adams, said of his local cooperative, Adams Electric. "I will go out on a limb to protect that company. They are important to the community."